SAN FRANCISCO, CA & NEW YORK, NY (July 13, 2010) – Grassroot Soccer (GRS) and Women’s Professional Soccer (WPS) are pleased to announce their new partnership supporting Get Active!, WPS’s campaign to fight childhood obesity across the country. GRS uses the power of soccer in the fight against HIV & AIDS in Africa and to help build life skills, inspire healthy lifestyles, and work to eliminate disease. Together, WPS and GRS are inspiring youth, families, and communities to get active through 3-on-3 soccer tournaments held in WPS Team markets. Through the Get Active! tournaments, run in part by Grassroot Soccer volunteers, children and young adults in surrounding communities will learn the benefits and importance of staying fit and living active, healthy lifestyles. WPS Players will be on hand to help teach soccer skills and deliver these messages. In conjunction with the 3-on-3 tournaments, the participants will also attend a WPS game. 100% of the proceeds raised through donations and player registrations will benefit Grassroot Soccer. Grassroot Soccer is an internationally recognized non-profit organization that trains African soccer stars, coaches, teachers, and peer educators in the world’s most HIV-affected countries to deliver an interactive prevention and life skills curriculum to youth. Since its inception in 2002, Grassroot Soccer has served more than 300,000 kids via its ‘Skillz’ curriculum as a leader in the sport for development movement. In addition to the partnership, GRS is also aligned with MLS W.O.R.K.S, the philanthropic initiative of Major League Soccer, and FIFA creating a unique relationship of being the only charity partner of all three organizations. With the kick-off of the 2010 FIFA World Cup in South Africa under way, more attention is being brought to the beautiful game and the chance to leverage soccer as not only the most popular sport in the world, but also one associated with healthy and active lifestyles. 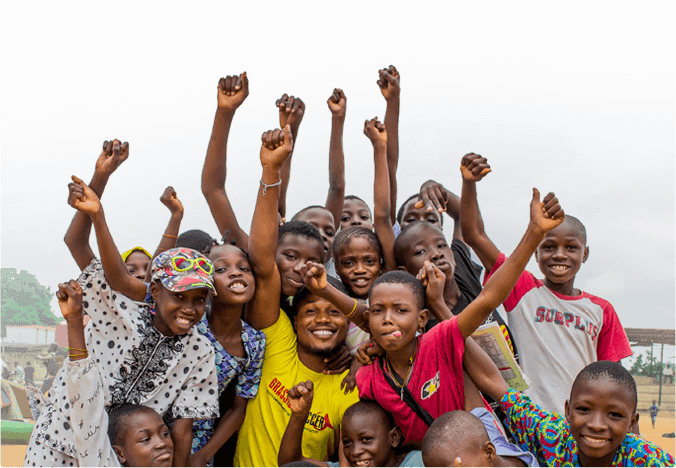 Founded by former professional soccer players in 2002, Grassroot Soccer (GRS) trains African soccer stars, coaches, teachers, and peer educators in the world’s most HIV-affected countries to deliver an interactive HIV prevention and life skills curriculum to youth. Translating research into action and leveraging the excitement around the 2010 World Cup, GRS attracts and engages young people through schools, community outreach, and social multimedia (e.g. magazines and TV). GRS has educated more than 300,000 kids via its ‘Skillz’ curriculum, and is a leader in the sport for development movement. For more information, visit www.GrassrootSoccer.org.